When you think of athletic training, you may visualize the taping of a sprained ankle, or the stretching of a sore hamstring. But as Nunez explained, the majority of what he does is advanced sports science. Hsieh was at UC Santa Barbara for four years before being hired as the athletic trainer by the (then) Los Angeles D-Fenders, and spent seven years there while also assisting the Lakers with summer league and training camp, until taking Nunez’s assistant role when Nunez assumed Gary Vitti’s position. 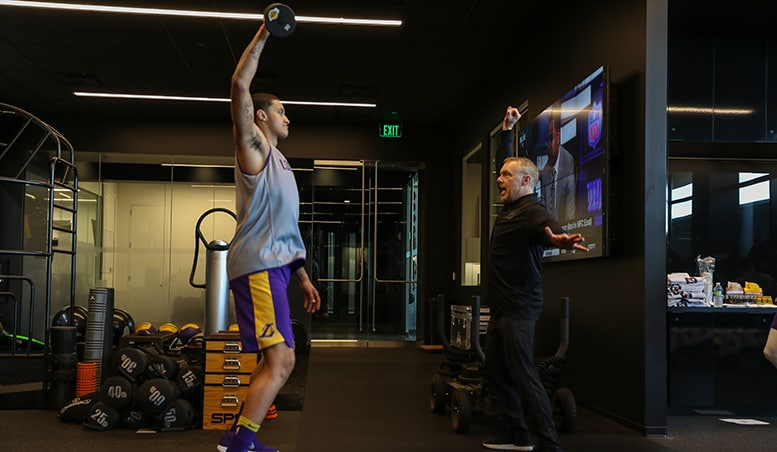 Over the summer, the Lakers hired an all new strength and conditioning staff, led by 28-year veteran of the fitness industry Gunnar Peterson, who’s been the personal trainer for some of the top athletes and entertainers in the world. Peterson explained that he and his two assistants, Josh Wright and Adi Vase*, have the players hold movements like a defensive stance for long periods of time to get the body used to it. They’ll do it under load, or weight, so that when they players are back on the court, it’s an easy adjustment. *Peterson noted that it’s hard to run a workout efficiently with a lot of people in a room without the extra pair of eyes and hands, and he really relies on Wright and Vase, two pros who are experts in executing workouts with the players. Over the past several years, professional teams have increasingly recognized the value of sports massage, and many have hired full-time sports massage therapists who focus on working deep into the muscle tissue. Nunez met Stacey Robinson 19 years ago when both were working for the L.A. Avengers, an Arena Football League team (2000-2008). She started working with NBA teams in 2006, and Nunez brought her in full time last season. "Stacey's skills, expertise, professionalism and more importantly, her experience working with other professional teams, made it a no-brainer to hire her," said Nunez. "The trust that I have with Stacey when working with our athletes or when I ask her to focus specifically on an anatomical structure is priceless." 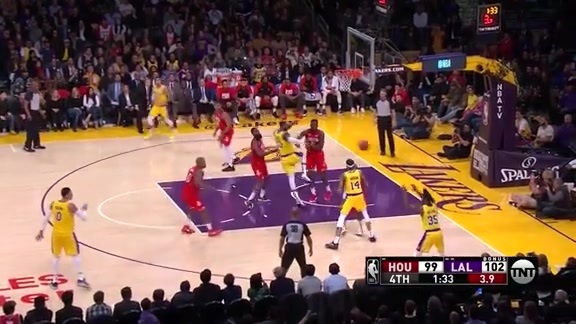 As the Lakers PT, Swanson’s expertise can be utilized in a variety of ways, depending on how many short-term versus long-term injuries the team is experiencing. 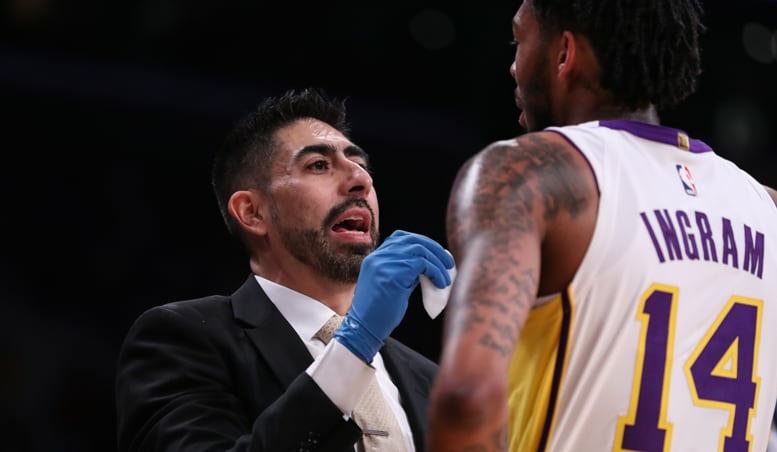 “You’re looking at long-term rehab, taking players through manual therapy, soft tissue work, joint mobilization into current exercise and part of their strength program,” said Swanson, who was with the Chicago Bulls before coming to Los Angeles. "Jen has grown over the last two years with our organization," Nunez offered. "Her skills and knowledge as a physical therapist are immense." Since PT is most focused on long-term rehabilitation, Swanson is happy if she’s utilized less in that context, meaning the team is healthier. In such cases, she can assist more with injury prevention. 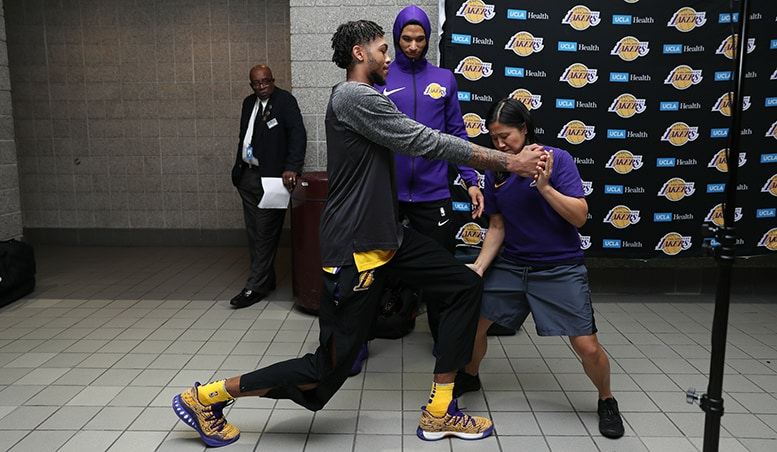 One of the areas that’s become increasingly en vogue in the last few years for professional franchises is nutrition, and the Lakers took a major step in that direction last offseason by hiring a full-time expert in Kristen Andrews. A registered dietician by training who ran track and cross country at the University of Arkansas before going to graduate school and eventually landing an internship with the L.A. Galaxy, nutrition is Andrews’s main point of emphasis. 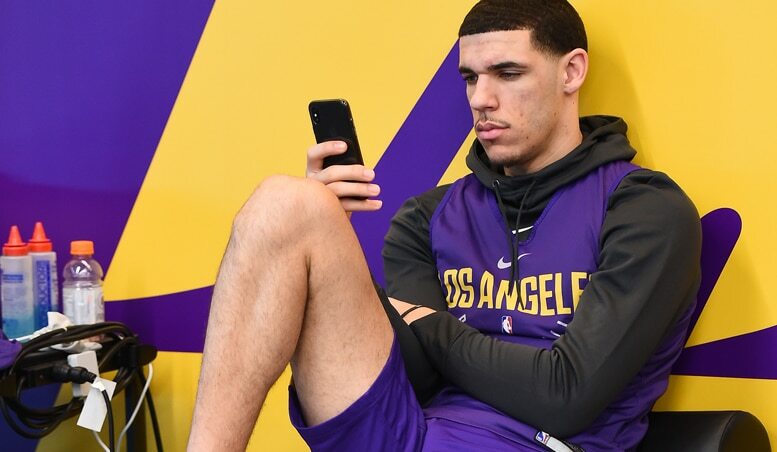 Marco Nunez is incredibly busy during the NBA season overseeing all that’s been covered in this piece, but he’s also always trying to get a step ahead, and spends some of his little free time researching what’s coming up next in the industry. For example: medical analytics that track player fatigue and stress points and gauge when muscles are getting worn down. So we’ll see what comes next, but we know it will save the same ultimate purpose: keeping players on the basketball court.